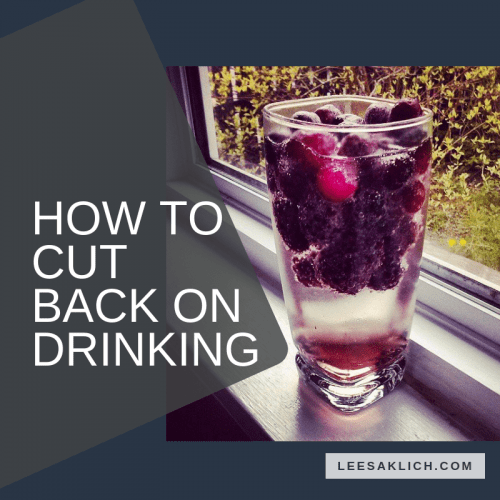 Why cut back on drinking? Here are over 100 drinks that look like (and might even taste better than) alcoholic drinks. Want a great resource to help you plan your wellness blog? 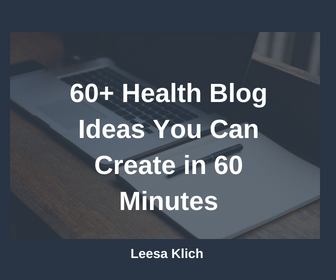 I hope it helps you to be inspired with topics to create content about for your wellness blog. Originally published December 2015; updated with even more awesomeness December 2018. But, we all know that alcohol is not particularly healthy. A moderate amount can have some health benefits for some people, but overdoing it is not good for anyone. Right? There is A LOT of information on the (not-so-good) effects of alcohol consumption on your health, e.g. its link with cancer – Eeek! In fact, references 1, 2, 3 & 4 listed below are great reads if you’d like to “geek out” on the health effects of alcohol. And there are many reasons why you might want to reduce (or eliminate) your alcohol intake this holiday season. Or any time. For me, growing up with an Eastern European heritage, alcohol was part of every celebration. Yup, EVERY celebration. And as soon as we were adults we were allowed to participate. As an example, the receiving line at my wedding was basically to invite every guest to do a “shot” with one of the bridal party members. Having said that, there were lots of times in my life when I chose not to drink. The most obvious is when I was (or thought I might be) pregnant. There were also times when I wanted to keep my wits about me, especially when in unfamiliar circumstances or with people who I didn’t really know that well. Of course, when it was my turn to be the DD (“designated driver”) I wouldn’t drink either. PERSONAL (CRAZY STRESSFUL) STORY: Not drinking because I was the DD saved my life once! I was at a club downtown Toronto with a friend and I was the DD. We were heading home around 2:00 a.m. on the QEW. As I entered the highway in the right-hand lane the car that was driving in the middle lane swerved left for no apparent reason and plowed right into the concrete median! Right in front of our eyes, a car essentially made a left turn on a straight highway. The collision flattened the front of their car with a mini-fireworks of sparks before the car bounced off the concrete median! All 4 people in that car got out, so they are lucky they weren’t seriously injured, but when the cops got there to question my friend and I they basically took our statements and said that the other car was at fault because the driver had been drinking!!! We weren’t ever called to testify, so I have no idea what actually happened to them. CRAZY stressful memory, and really hit home why DDs should NOT drink! I’m lucky that I’m healthy and my liver can take a bit of alcohol once in a while. But some people have medical conditions that preclude them from drinking alcohol. Maybe they’re on critical daily medications that interact with alcohol. FUN FACT: Did you know that of the 80 most prescribed medications, 24 interact with alcohol? Yup! I looked them up myself! If you are taking meds, you should really check with your doctor or pharmacist to confirm if there are interactions with alcohol. Basically, an interaction is a potential side effect. Some of these “drug-alcohol” interactions can affect your blood sugar or blood pressure, they can make you dizzy & drowsy, or even cause liver problems. Either way, there are lots of reason why you may want to not drink at all, or drink less. If you want to cut back on drinking I have 100 drink recipes to try instead! Don’t be fooled that these are all healthy drinks, they’re not. Many contain uber amounts of sugary ingredients and are decadent and full of calories. But, ALL of these recipes can be made without alcohol. These are ideas how to cut back on drinking without advertising to everyone that you are. You can grab this calendar and all future updates for just CAD$27. Awesome article. I will def. be using some of these tips. I found this recipe literally the day after I read this article so thought I’d share. It’s from the natural nutrition website (it’s a Canadian online health store I sometimes use). This is a bright red cocktail. The activfuel is a rehydration crystals (electrolyte) I believe. Simply add all of the ingredients to a shaker with ice, shake and pour into a festive holiday glass. Garnish with a cherry and enjoy! Yay! Thanks for the recipe Tania! 🙂 Here is the link to the original.